Gymnasts at this level have been moved up from the recreational program. This group is the first phase of our advanced competitive program. 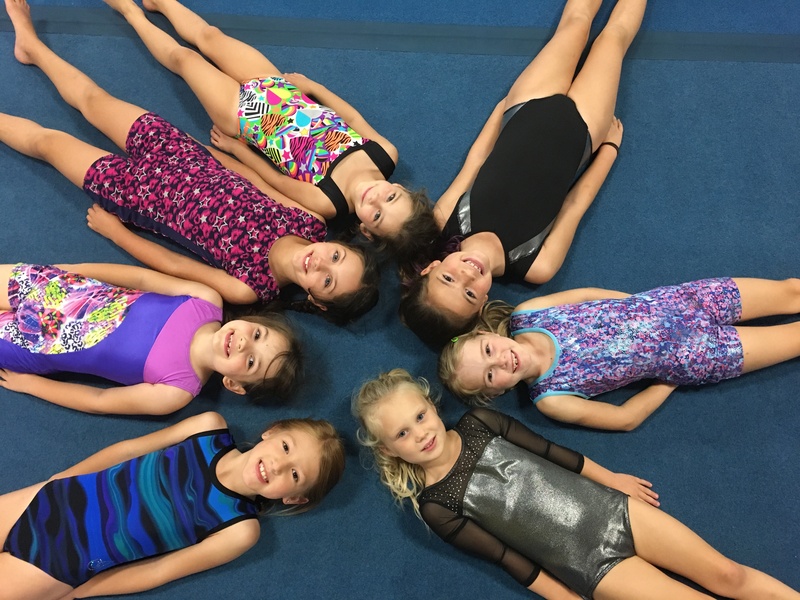 This group is designed for athletes who display the potential to excel in gymnastics mastery at a very young age. These pre-competitive (developmental) groups are based on several stages of progressions. The majority of their time in the gym is spent on flexibility, technique, basic skill progression, and strength. Coaches of this group are able to provide a more structured and intense training program than our recreational program. Athletes in this group train approximately 4 hours a week and do not attend any competitions. Gymnasts at this level have been moved up from the recreational program. This interclub program is designed to prepare athletes physically, mentally and technically. Gymnasts at this level have a basic understanding of the fundamentals of gymnastics. The athletes in these groups will use their fundamentals to learn new drills, progressions and the skills required for entry level competitive routines. The introduction to competition is fun and encourages positive participation. Gymnasts in this level train approximately 6-7 hours a week. This interclub program is designed to prepare athletes physically, mentally and technically. Gymnasts at this level have a basic understanding of the fundamentals of gymnastics. The athletes in these groups will use their fundamentals to learn new drills, progressions and the skills required for entry level competitive routines. The introduction to competition is fun and encourages positive participation. Gymnasts in this level train approximately 6-7 hours a week. 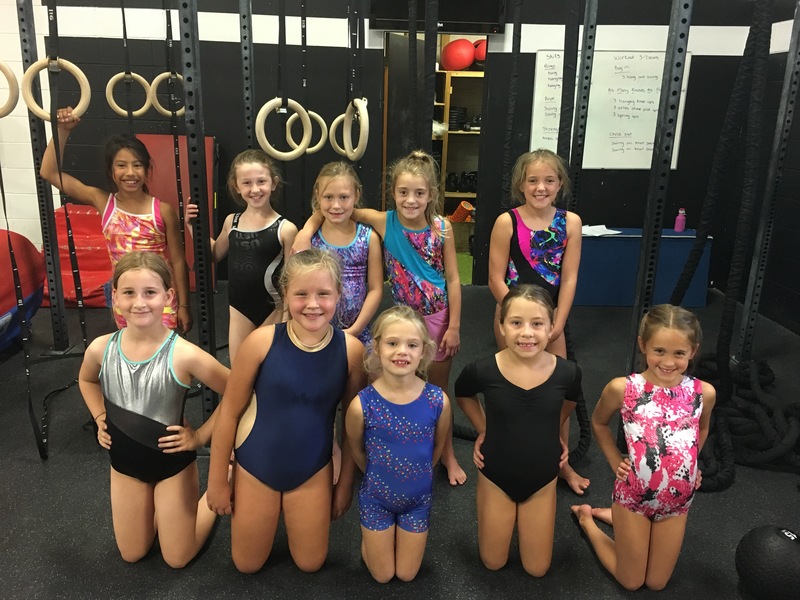 Gymnasts at this level have previous experience in the competitive program and are working on more difficult skill progressions and preparing for a future in the higher levels of our programs. 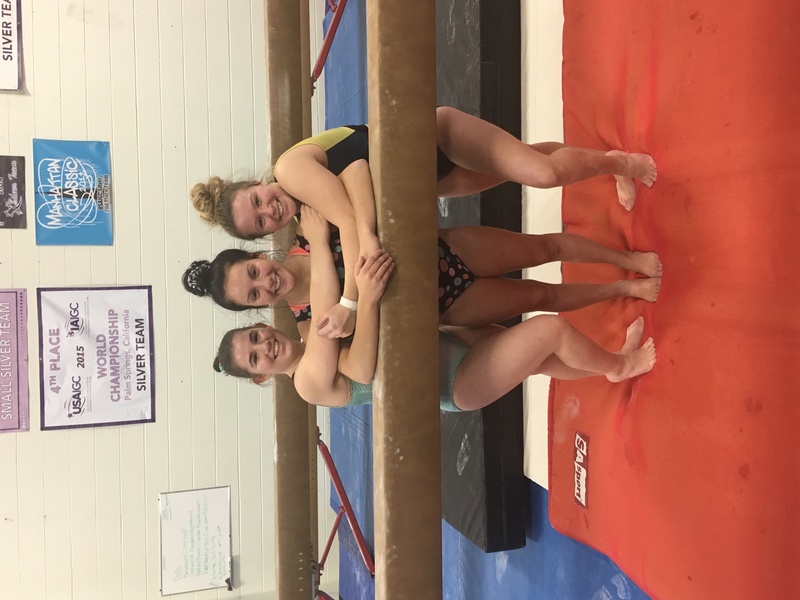 This program prepares each athlete’s body and mind for the future physical needs and psychological demands of competitive women’s artistic gymnastics. Gymnasts will constantly be challenged in order to advance to the Provincial program. Athletes in this program will train 8-9 hours a week. 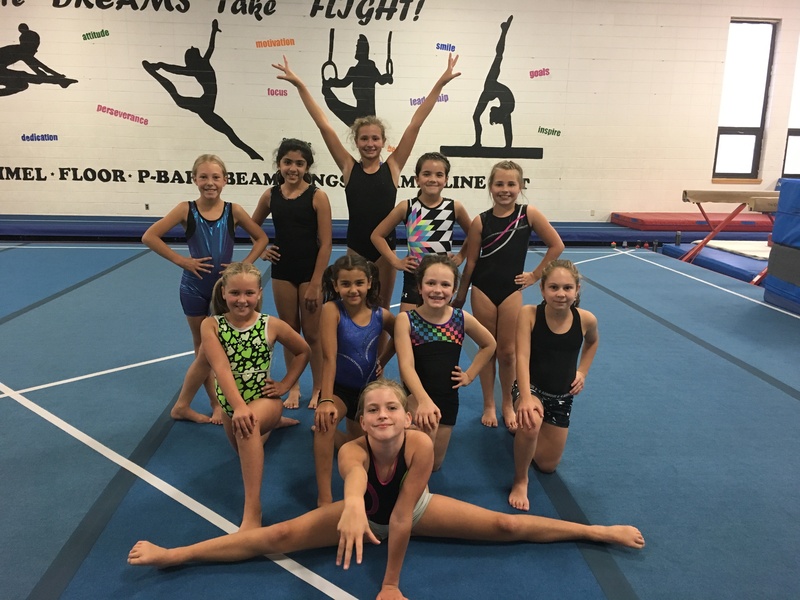 This program offers both the environment for a high degree of participation and an avenue for those developing towards high performance gymnastics. Gymnasts at this level will work hard to increase strength, speed, flexibility and skills development. The main focus for these athletes is on skill advancement and competition experience. Gymnasts will also work to improve their physical and mental preparation for both training and competition. Gymnasts at this level are working towards being National Level athletes. Athletes in this group train 12-14 hours a week. This program is the highest level we offer at SSMGC. 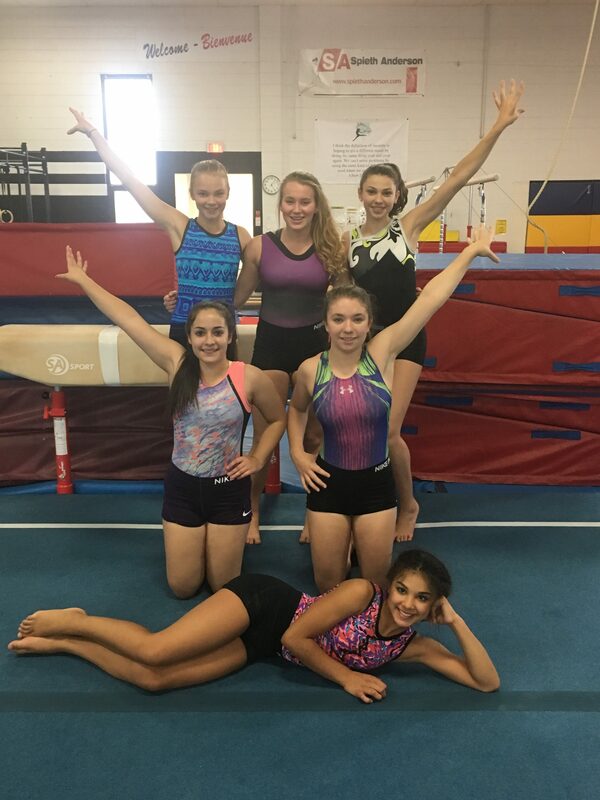 These gymnasts have been in gymnastics for several years and have extreme talent in the sport of gymnastics. These athletes have very individualized and complex programming. This program provides opportunities to enhance tactical, technical, psychological, physiological preparation for athletes. These components are all necessary to be a successful gymnast at this level. These athletes compete in the United States to help further their potential in this sport and open the doors for a bright future in the sport. These gymnasts train 17-24 hours a week. The SSMGC Provincial boys program train 3 days a week for 12 hours. The boys range from 9-18 years of age and have anywhere from 1 to 9 years of experience in the program. They will compete at 3 Ontario Cups spread out throughout the winter in hopes of qualifying for the Ontario Provincial Championships held later on in the season. They will also attend another invitational competition as well as a show case event held at our club. 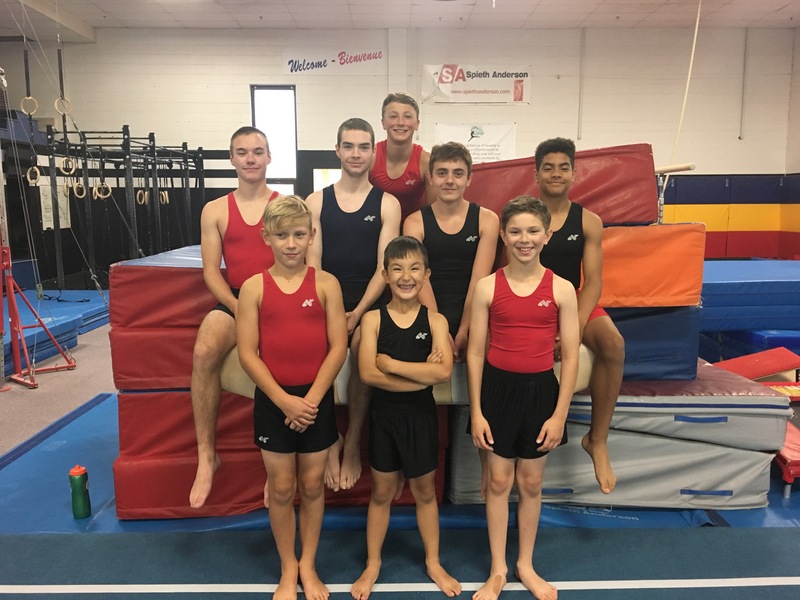 In men’s artistic gymnastics, the boys compete routines on 6 different events including Floor, Pommel Horse or Mushroom for the younger boys, Rings, Vault, Parallel Bars and High Bar. These 6 events require strength, speed, power, balance, flexibility, control and focus…. Just to name a few skill sets required as a gymnast.